After years of preparation, the executive branch is poised to adopt a government-wide system for designating and safeguarding unclassified information that is to be withheld from public disclosure. The new system of “controlled unclassified information” (CUI) will replace the dozens of improvised control markings used by various agencies that have created confusion and impeded information sharing inside and outside of government. A proposed rule on CUI was published for public comment on May 8 in the Federal Register. While CUI is by definition unclassified, it is nevertheless understood to require protection against public disclosure on the basis of statute, regulation, or agency policy. 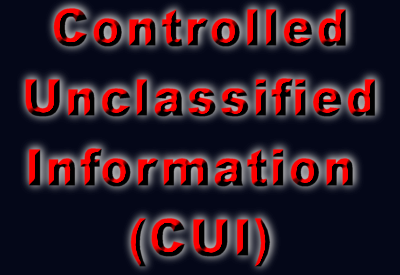 In many or most cases, the categories of information that qualify as CUI are non-controversial, and include sensitive information related to law enforcement, nuclear security, grand jury proceedings, and so on. Until lately, “more than 100 different markings for such information existed across the executive branch. This ad hoc, agency-specific approach created inefficiency and confusion, led to a patchwork system that failed to adequately safeguard information requiring protection, and unnecessarily restricted information sharing,” the proposed rule said. One of the striking features of the new CUI program is that it limits the prevailing autonomy of individual agencies and obliges them to conform to a consistent government-wide standard.